Ladyferns’ are a wild, yet light and elegant fern that grow in the big forests of Minnesota and here in Wolsfeld Woods at Two Pony Gardens. Everything we cultivate and create is inspired by the natural beauty of this place, the subtle elegance of the flowers we grow, and the curiosity and desire to share a part of our experience. We are your hard-working farmers, thoughtful wedding designers and generous teachers - our work and farm foster a meaningful and authentic community we wish to share with you. On our flower farm we grow over 75 varieties of specialty cut flowers & foliages. We grow unique colors, textures and varieties, that are exclusively available during the growing season, making local flowers very special. In Minnesota, the typical growing season is from May-October, with the most flowers in bloom from July-September. Local flowers surpass imported flowers as they have been freshly harvested within days purchasing them, making them last longer in the vase and in full color. Supporting local flowers is an investment in your community, local economy, and brings vibrancy to your living, entertaining or work spaces. Additionally, by using sustainable and safe growing methods, we're dedicated to creating a healthy environment for people, animals, insects, the soil and our climate. 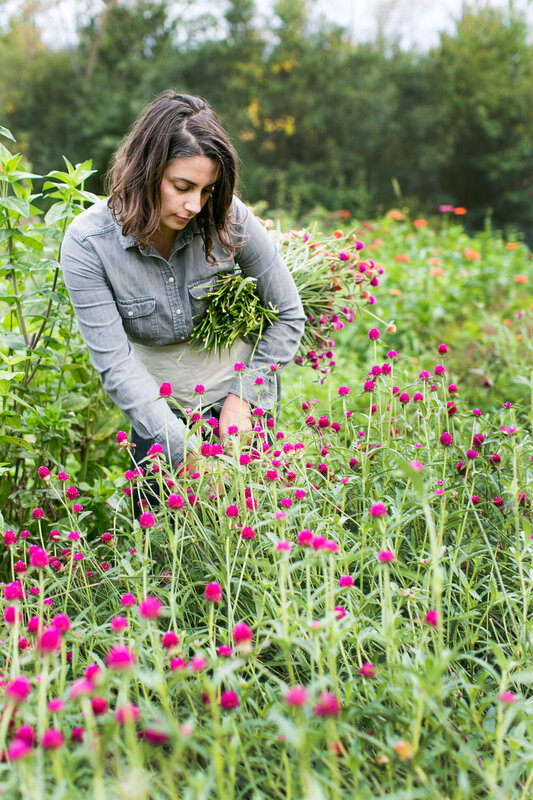 When you work with local flowers, you depend on the season and the best in bloom to inspire your creativity. While we grow favorites such as tulips, zinnias and dahlias, we rely on the seasons and mother nature to inform their bountiful bloom time. 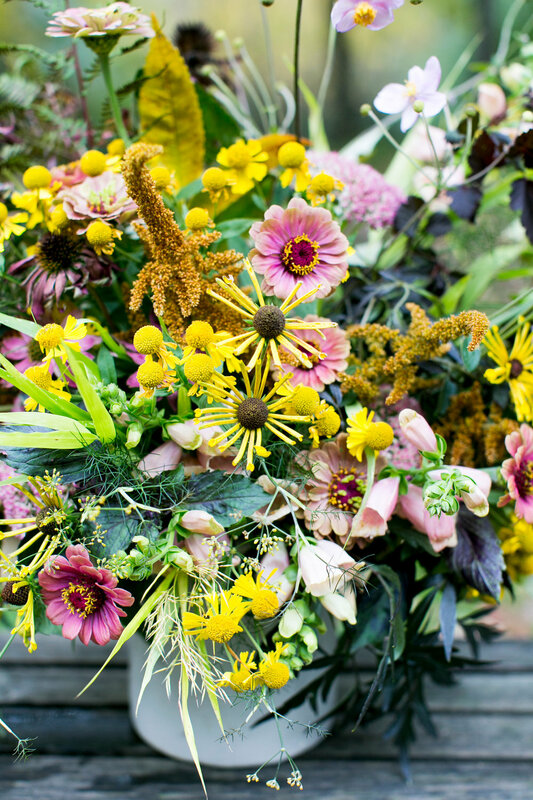 Working with beautiful, seasonal flowers, creates lush, organic, one-of-a-kind arrangements for your home or wedding day that speak to the seasons and compliment your environment. Designing with the seasons requires a flexible and creative approach, as you are working with what is available at the time. Since we grow a variety of colors and textures at the farm, you are able to select the palette and style you wish to create, but with an openness to flower types. You can become familiar with our farm and working with local flowers by signing up for a flower share or attending one of our workshops. We also offer bulk blooms in season for special events and DIY weddings, reach out if you are interested, we are here to guide and inspire you!